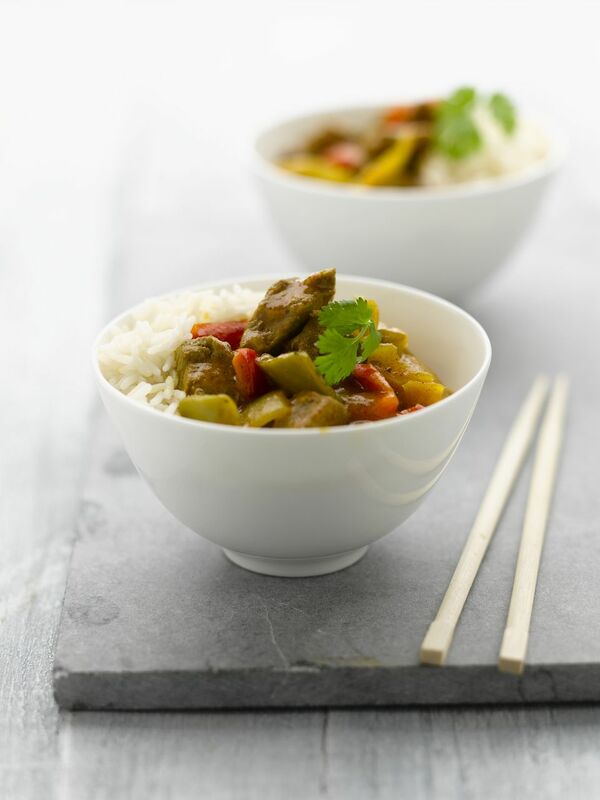 This is a basic recipe to make pork curry, using pre-packaged Japanese curry roux. Additional ingredients are often added to deepen the flavor. For example, minced ginger, minced garlic, or grated apple can be used. Heat some vegetable oil in a deep pan and saute the pork. Add onion, potatoes, and carrots and saute together. Pour water in the pan and bring to a boil. Turn down the heat to low. Simmer the ingredients for 30-40 minutes or until vegetables are softened, skimming off any foam or impurities that rise to the surface. Add curry roux and simmer for about 10 minutes. Adjust the thickness of curry to your preference by changing the amount of curry roux. Serve the curry over steamed rice.